e) Sanitation, cleanliness and hygiene of the entire area under his purview. f) Ensure optimum performance in specific jobs assigned in the above areas. Conducts daily briefing & Sets up targets/ goals for the shift, makes constant effort to achieve the same. Check for staff grooming/ discipline. To introduce new ways and means to minimize transaction time at box office and at the concessions. Oversees the services of Cinema from box-office to concessions and cleaning, to ensure highest standards and quality services at all times. 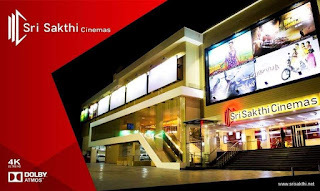 Ensures compliance with all legal requirements in connection with Cinemas. Maintains minimum stock levels of all items and participates in inventories on weekly basis. To ensure smooth operations at all times. Must be willing to Work in a team environment - with total hands on approach. Make rosters on a weekly basis for box office, Floors, concession staff and strictly control manpower costs. Manage Food and Beverage merchandising using various mediums and curatives to stimulate customers to impulse buying and boost sales. Have strictest controls on cash handling and ensure that here is no pilferage of moneys and safe procedures of money handling are adhered to. Responsible for Cinema level operations. Responsible to Improvement of Cinema Operations process & Statutory Compliance adherance. Responsible to 85% & above in Operational Audit for quarter consolidated / All audits RTY..